Prince Charles: \"I am enormously proud and happy to be a grandfather for the first time...\"
Prince Charles: "I am enormously proud and happy to be a grandfather for the first time..."
Prince Charles has revealed that he and wife Duchess Camilla are "overjoyed" by the birth of their first grandchild, the Prince of Cambridge, who was born to Duchess Catherine and Prince William today (July 22 in London). 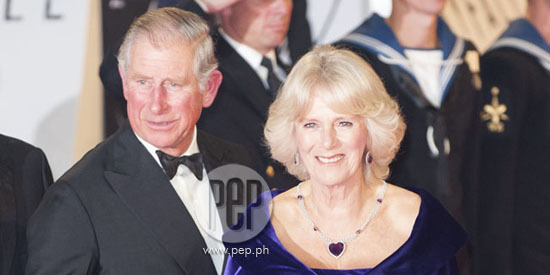 "Both my wife and I are overjoyed at the arrival of my first grandchild," said Britain’s Prince Charles in an official statement released today, July 23, 2013. The Prince of Wales’ daughter-in-law Duchess Catherine gave birth to a boy, her first child with Prince William, earlier today (July 22 in London); and the doting grandfather and Duchess Camilla were ecstatic to welcome the latest addition to the royal family. "It is an incredibly special moment for William and Catherine and we are so thrilled for them on the birth of their baby boy.